An in-depth look at the powerful story and symbolism behind God's unique design of our universe. Thousands of words have been written about the first ten words in the Bible: "In the beginning, God created the heavens and the earth," a simple and profound statement that has ignited a firestorm of debate and controversy. People often only focus on the "how" and "when" of creation, but Story in the Stars explores the "why." Why did God create such a vast universe? Why did He choose the sun and moon to light our paths? Why did He design images with stars in the night sky? The Bible is very clear when it states that God created, named, and positioned all of the stars of the universe in their place in a very specific way-a way that tells us the greatest story ever to be told. In Luke 21:25 Jesus says, "There will be signs in the sun, moon and stars." Signs are meant to point us towards something: Jesus. 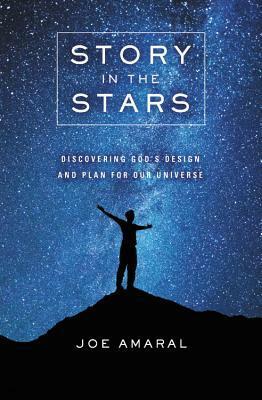 Story in the Stars takes an in-depth look at the Bible and all the signs God mapped out through constellations, planets, and even the way the Earth is tilted. We are uniquely designed by God, and He loves us so much that He ensured a way for all inhabitants of the earth, through all of time, to see the messages of salvation and redemption that He painted in the stars. Story in the Stars is a fascinating read about constellations and planets. I am going to be honest, I struggled at first with this book because of the authors in depth understanding and research he was bringing to the table about festivals, the constellations and how each thing aligned. I felt that maybe it was almost a bit much, but the more I read, the more I realized he was addressed some of my concerns about worshipping the stars and seeking them to understand what was happening. Rather he was using them to connect history from the Bible. There is a deeper meaning that is revealed in this book then I have never understood or read before. This book is very interesting and helps me understand scripture differently. It will give you a visual picture of the Bible in a different way. I found this to be a stimulating read. This book will give you a different view of the sky and the stars. It is a fascinating read and you don't have to be into constellations to enjoy this. I reviewed a complimentary copy of this book which I received from the publisher. I was not required to write a review. All opinions expressed are my own. 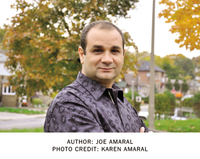 Joe Amaral was born in Portugal on the island of St. Miguel, and emigrated with his family to Toronto, Ontario, when he was two years old. A rebel against Christianity, he credits a youth pastor who "loved me unconditionally" with being a major factor in his conversion and subsequent decision to enter the ministry. He attended Eastern Pentecostal Bible College (now a Master's College and Seminary). In November 2002, he first visited Israel, and learned about the culture from his tour guide, a Messianic Jew. Today, along with his father-in-law, he operates a ministry called Operation Outreach, conducting tours of the Holy Land several times a year and teaching on the Jewish roots of the Christian faith. He resides with his wife, Karen, and family in Ontario.